(The Youthies interviewing the Retirees/Rewirees and Middlies (except for Kate). 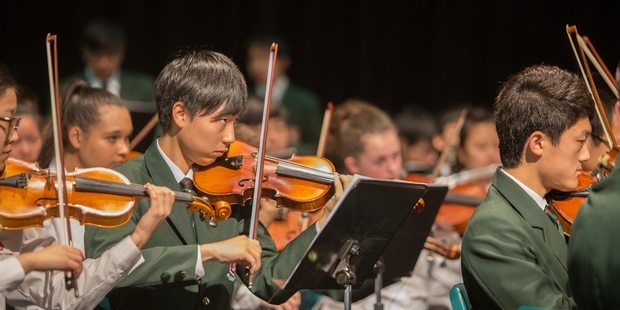 Images taken after the combined HUB churches service of worship on 12 October, 2014 held at Khandallah Presbyterian Church. Photos from the pot-luck lunch at Alister's on17 September. Sue summing up - the plants were given away to be planted. click here. KiHei was the section leader for the second violins. After the service on 22nd of June we held a morning tea to celebrate the forthcoming marriage of Aaron and Rebecca. Photos from the All-Age Service celebrating the gift of the Holy Spirit at Pentecost and Andrew and proud parents on the day of his marching out. Photos from the Wesley Day service at Ngaio Union and the lunch which followed at the manse. 18 May 2014. Photos from the All Age Service, 23 March 2014 - thanks to Ian and his new camera.